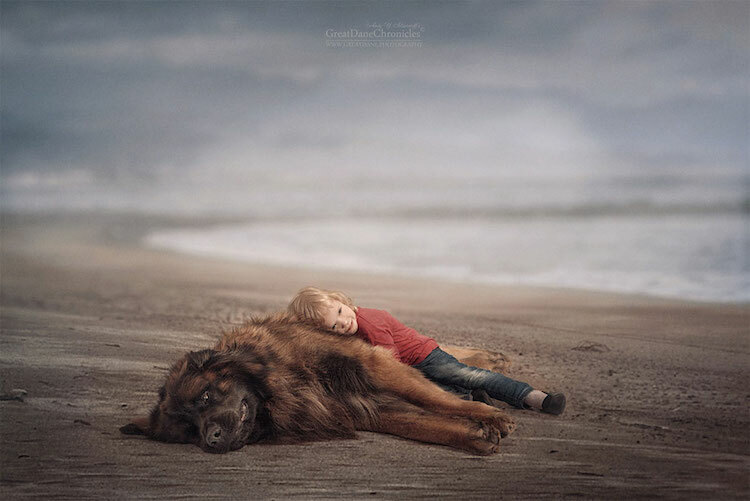 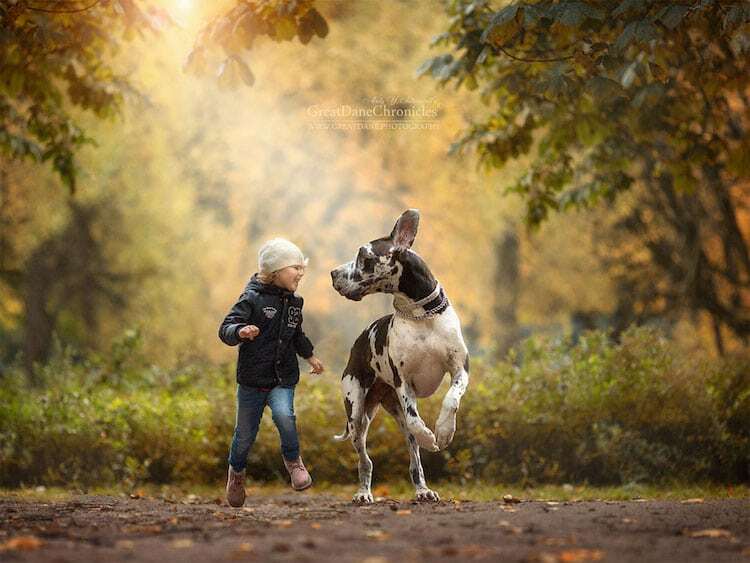 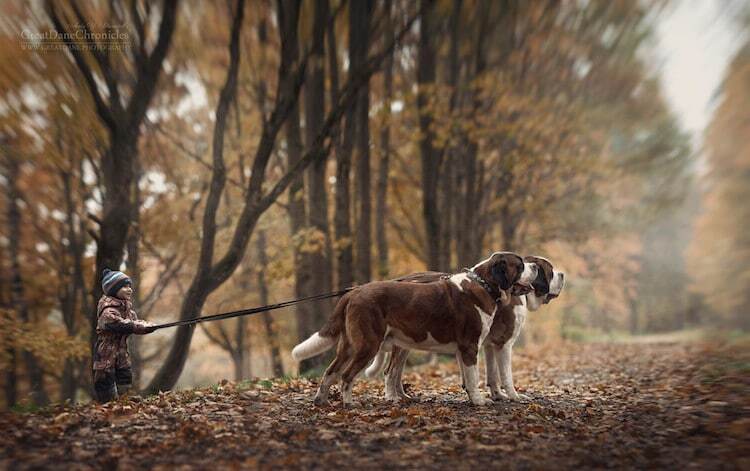 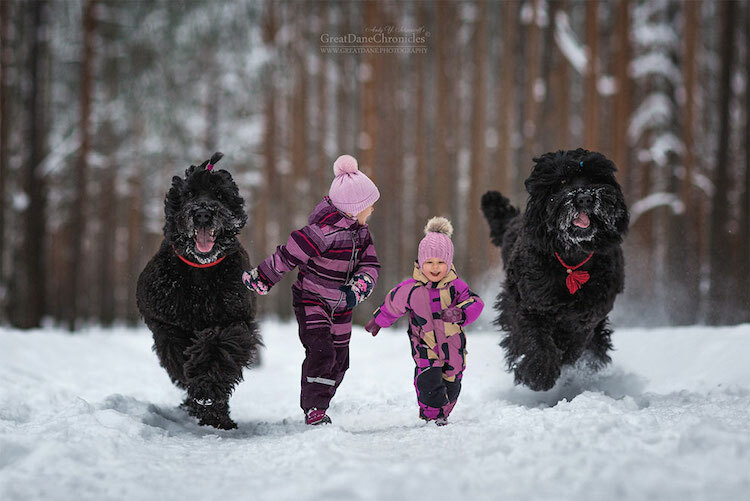 Photo story of Russian photographer Andy Seliverstoff showcases both his tremendous talent and his serious soft spot for dogs. 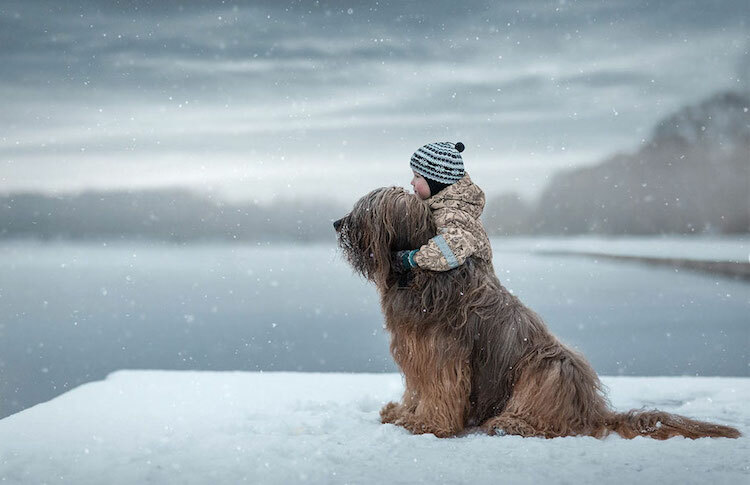 From fast-paced action photos to seasonal shots, his pup-centric portfolio features a myriad photoshoots of his four-legged friends. 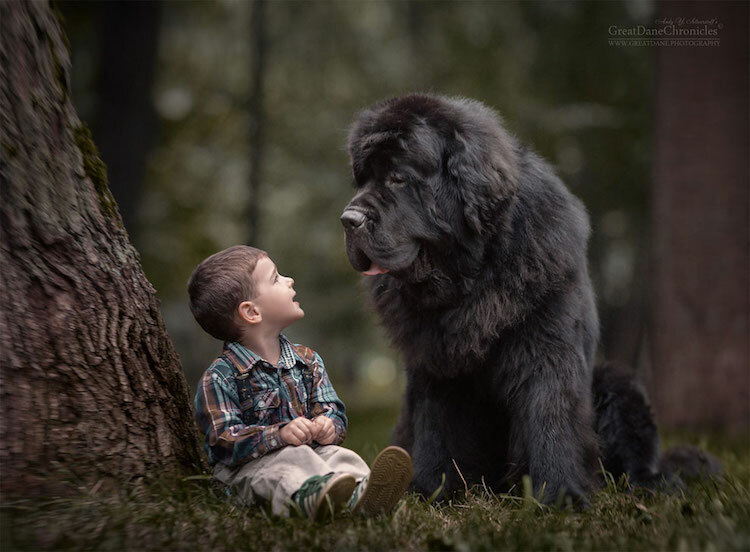 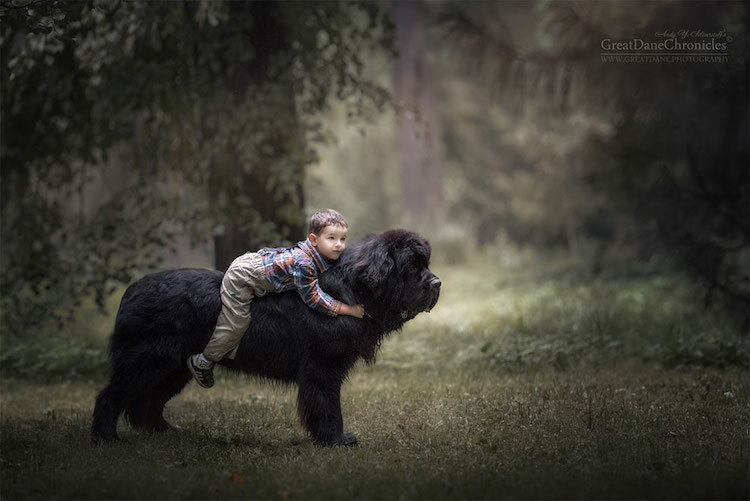 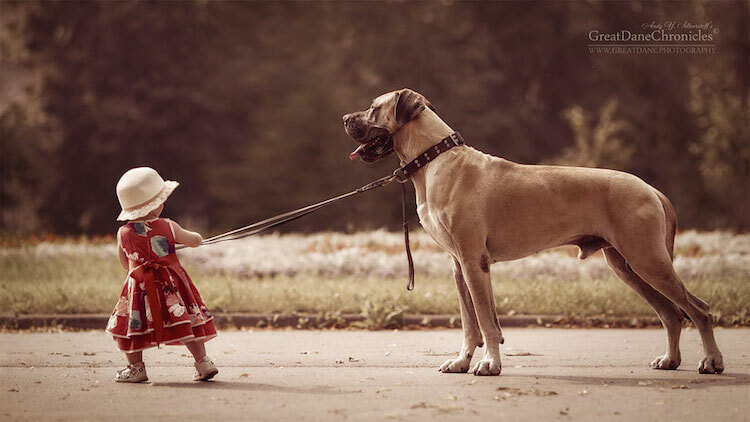 And, in his most recent series Little Kids and their Big Dogs, the children that love them, it’s absolutely heartwarming. 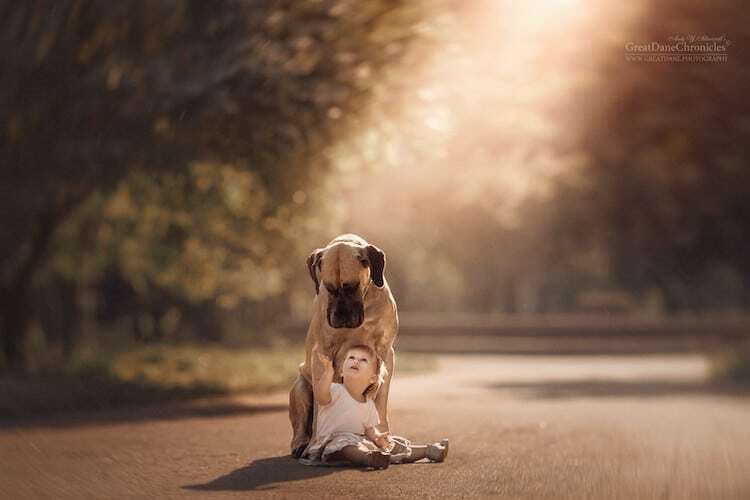 Set in the outdoors, the endearing series presents a study of real relationships between dogs and their miniature humans. 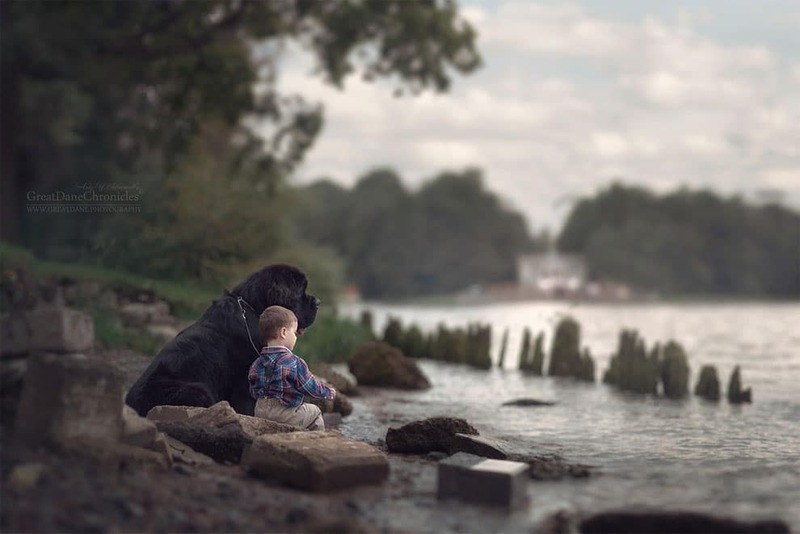 In some shots, the tiny tots and their titanic friends sit quietly, gazing into the distance or lovingly looking at each other. 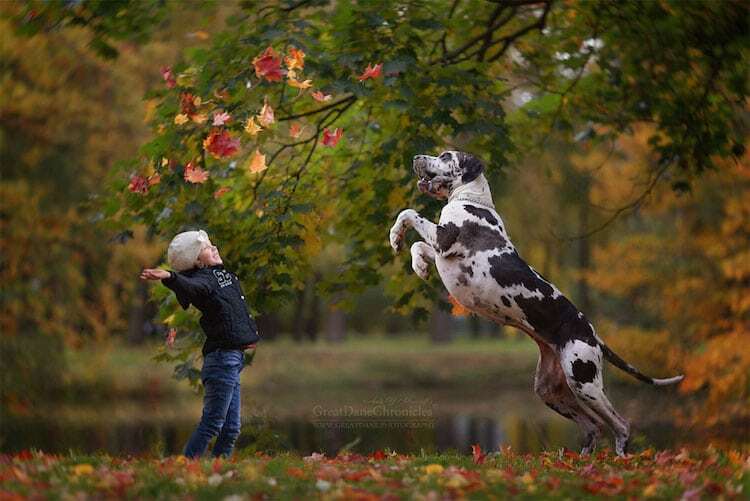 In others, the playful pairs are shown jumping, skipping, and dancing in piles of leaves and freshly fallen snow. 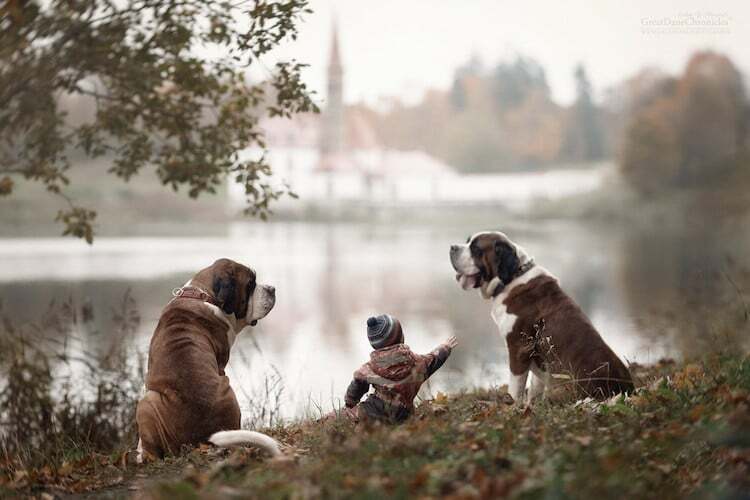 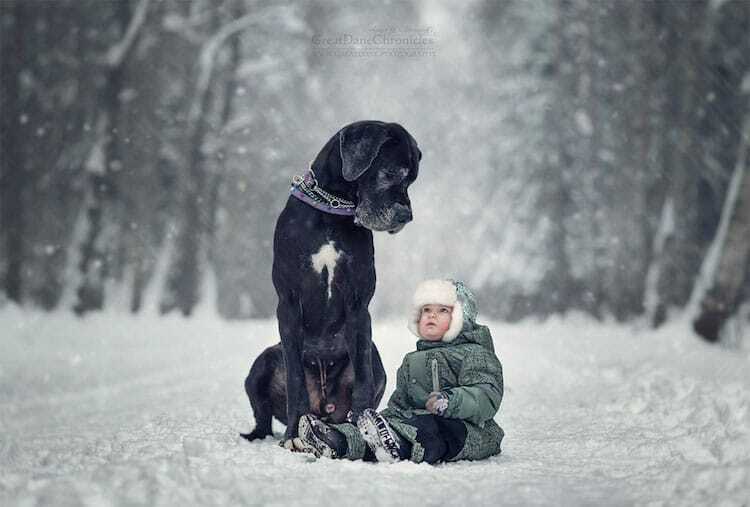 And, in a few particularly touching pictures, the children are captured cuddling up to their canine companions. 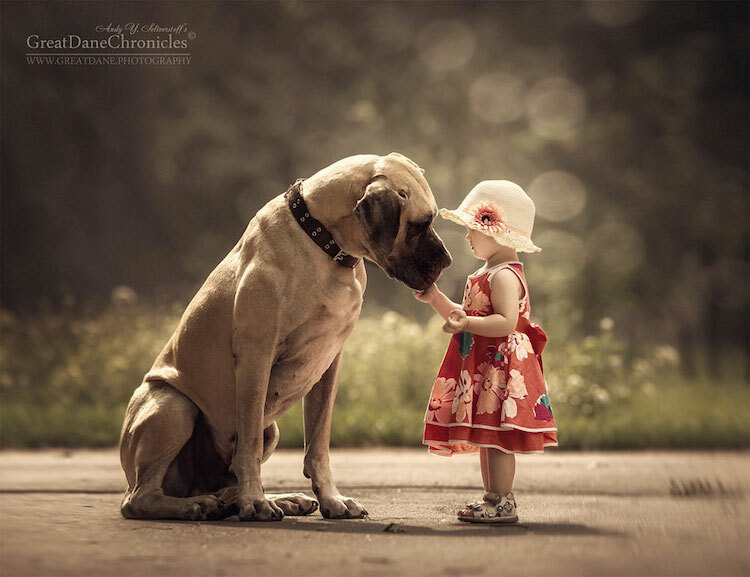 No matter the interaction, the sweet scenes demonstrate the unbreakable bond and adorable affection between kids and their protective pets. 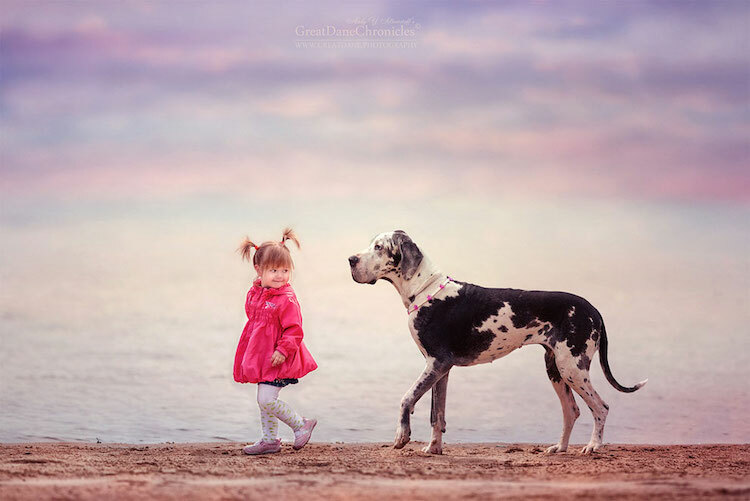 When photographing the gentle giants, Seliverstoff strived to both personalize and personify them by highlighting their distinctive qualities. 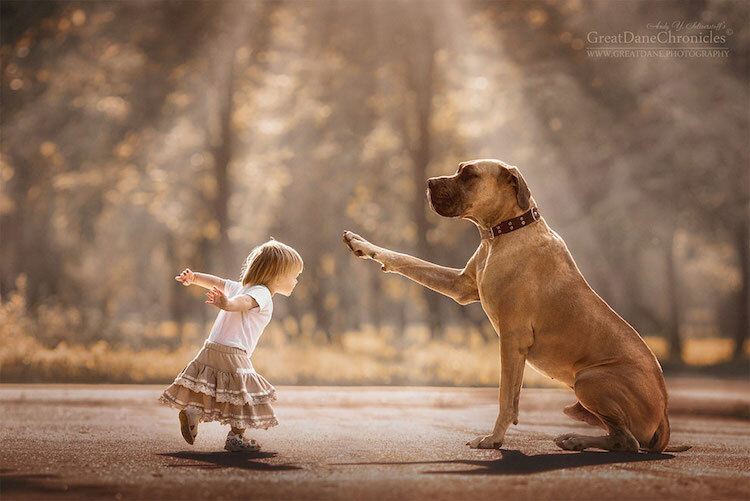 “I always take plenty of time with the dog who’s in front of my camera so I get to know the personality of my dog model the best I can,” Seliverstoff states on his website. 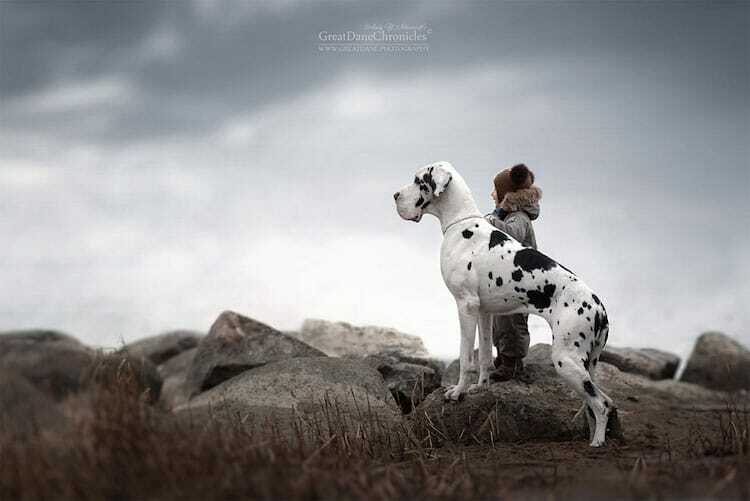 3 I REFUSE TO LOSE A GOOD FRIEND: A SISTA-FRIEND!